Merri Dee: Media Legend On Chicago Radio Again. Many Chicagoans know Merri Dee as a personality on WGN-TV; but her roots on Chicago Radio are undeniable. She hosted a popular program in the late 60s and early 70s on WBEE (a station out of Harvey). The above ad for her show, “The Merri Dee Magic Sound” ran in the Woodlawn Booster back in 1970. About a year after this ad was published, A stalker shot Ms. Dee multiple times and left her for dead. She ultimately recovered, and went on to spend nearly 4 decades at WGN. Merri Dee is an amazing woman who has overcome the odds (including abuse and attempted murder) to be a beacon of light, a trailblazer, and a role model for women of color… especially those (like me) who work in media here in Chicago. Ms. Dee will be the featured guest on Vocalo‘s Barber Shop Show (which airs live from Carter’s Barber Shop in Chicago’s North Lawndale neighborhood). She will talk about her life, and her newly published memoir, titled “Merri Dee, Life Lessons on Faith, Forgiveness & Grace”. The Barber Shop Show is hosted by WBEZ’s Richard Steele, and streams on http://vocalo.org Fridays at Noon. On-air, Chicago listeners can tune into 89.5fm or 90.7fm. Tune in tomorrow (June 28th) at Noon for her riveting story. Kartemquin Films is collaborating with Black Cinema House to present “Chicago: Segregated City”, a screening and discussion of three of Kartemquin’s classic films about racial issues in Chicago, along with an exclusive sneak preview of 63 Boycott, their in-progress film about the 1963 boycott of Chicago Public Schools by thousands of African American parents and students. The films will screen on December 17th, 6pm at the Chicago Public Library’s Greater Grand Crossing branch at 73rd and Ellis. Filmmakers Gordon Quinn, Peter Kuttner, and other members of Kartemquin will be present for a discussion moderated by the Chicago Reader‘s Steve Bogira. Sundown in K-Town Teaser from BetterBoys Foundation on Vimeo. Better Boys Foundation (BBF) and Facets Multi-Media announce a film festival comprised of a series of social documentaries screened outside in the inner courtyard of the BBF Center at 1512 S. Pulaski Road . 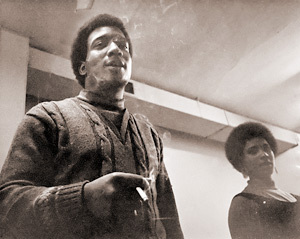 These groundbreaking documentaries such as The Murder of Fred Hampton (pictured at left), And This is Free, American Revolution 2, and others exemplify the role of independent, particularly documentary, filmmaking in reporting about and shaping Chicago. Discussion panels of film professionals, journalists and individuals relevant to the films will follow the screenings. Two of the films will be accompanied by shorts produced in house at BBF by FilmLAB@1512, BBF’s youth filmmaking apprenticeship. A local production company, Kartemquin Films, has generously donated two of the screenings. I caught the first installment of this Film Festival, which is going on until July 27th. I really enjoyed the experience and the setup (a large projector screen and speakers set up outdoors inside the Better Boys Foundation’s Courtyard). Great for the community (the neighborhood that Martin Luther King, Jr. came to in 1966 to fight for open housing). Also notable is the Better Boys Foundation itself, which has been around for some 50 years and collaborated with the Black Panthers for Chicago’s edition of the Free Breakfast Program. The idea of the Program was later appropriated by the US Government for the Head Start program. Jive on. Stony Island (the movie) returns to Chicago! 1978, Andrew Davis, USA, 97 min. Director Andrew Davis will be present at both screenings for audience discussion. He will be joined by Tamar Hoffs, Gene Barge and Susanna Hoffs on Wednesday and by Richie Davis, Tamar Hoffs and Susanna Hoffs on Thursday. Stony Island comes to DVD April 24th, 2012. 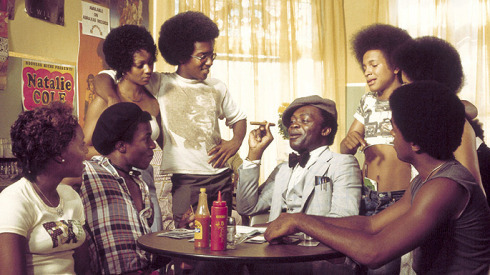 Don Cornelius: made Soul a household name. One of the most amazing things about the life of Don Cornelius (and to be clear, this post is about his life… not his death) is the trajectory of his rise to prominence as an ambassador of Soul. 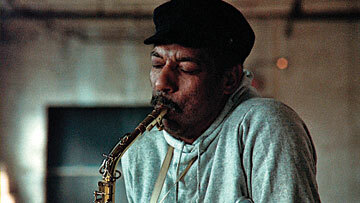 Starting out as a radio journalist here on Chicago’s WVON in the early 1960s, he built important relationships with both Chicago music stars and National acts. These relationships would prove invaluable later. When Soul Train launched in 1970 here in Chicago, voiceover work was by Joe Cobb (another WVON radio personality), who continued to be “the voice of Soul Train” for many years along with another Chicago radio legend: Sid McCoy. Cobb was the voice that called out “Sooooooooul Train” on each episode. One more Chicago connection: the first Soul Train theme song was a funky instrumental called “Soultrain” that was by an outfit called the Ramrods; and the song that took viewers to commercial breaks was “Familiar Footsteps”, a deep, doo-wop drenched slow jam by Chicago’s Gene Chandler. Don Cornelius later expressed regret about the second (most famous) theme song: “TSOP” by Philadelphia’s MFSB. 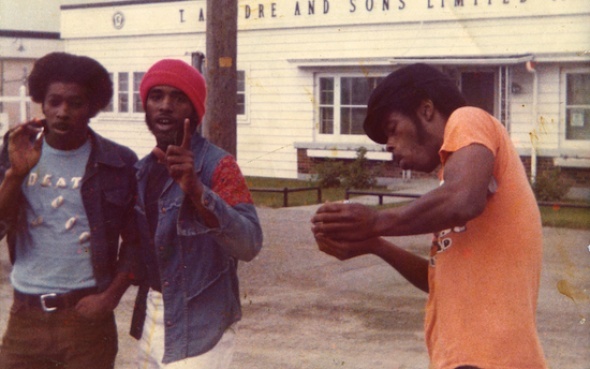 Gamble and Huff related that they worked on the song specifically for the show, and asked Don if he had a request for the song’s title. He didn’t. The song went on to sell over a million copies. Initially, the show aired on Channel 26 WCIU, and an early sponsor was Joe Louis Milk. For the first episode, Don Cornelius put up $400 of his own money; but he soon landed the most famous sponsor of Soul Train’s 35 year run: Johnson Products, a quintessentially Chicago Based black business behemoth, and the makers of Afro Sheen and Ultra Sheen. 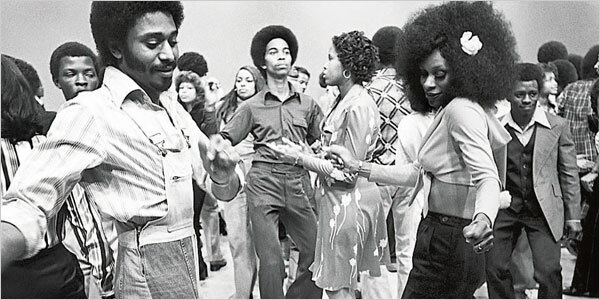 The following year, the show’s production was moved out to Los Angeles, but an additional program called Soul Train Local continued to air on WCIU here in Chicago throughout the 1970s. For more on this, click here. Don Cornelius was more than a television host, he was a producer and an entrepreneur who broadcast visions of Soul to Omaha, Nebraska, Hartford, Connecticut, and all points in between. Soul Train was the conduit that transmitted the music of lesser known artists (such as Chicago’s own Brighter Side of Darkness) to a much wider audience. Once called a “time capsule” of Soul Music and Culture by Spike Lee, the show also documented beautiful intimate moments with superstars (such as the 1979 appearance of Aretha Franklin [pictured above] during which she played the piano and sang amidst a circle of fans). Another such moment with Aretha Franklin (a frequent guest on the show) involved Aretha and Smokey Robinson sitting at the piano, reflecting on their early days in Detroit. They even sang the Miracles’ classic “Ooh Baby Baby” together. 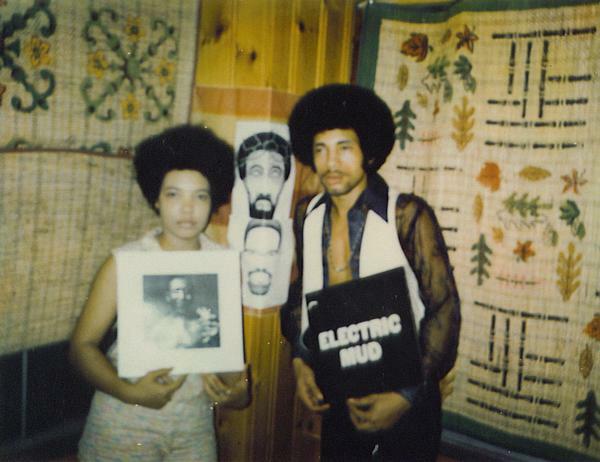 Soul Train also documented electrifying live performances (no, not all Soul Train performances were lip-synced) by artists like Sly Stone, James Brown, and Al Green. 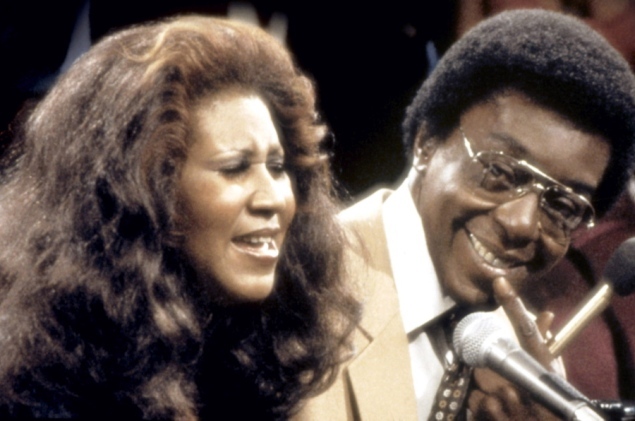 In short, Don Cornelius was a visionary who created a show unlike any before (or since). It proved that there was an audience for what was once considered an unprofitable niche market. What many didn’t realize is the ultimate impact of Don Cornelius’ creation. 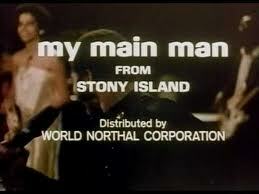 He made Soul a Household Name.